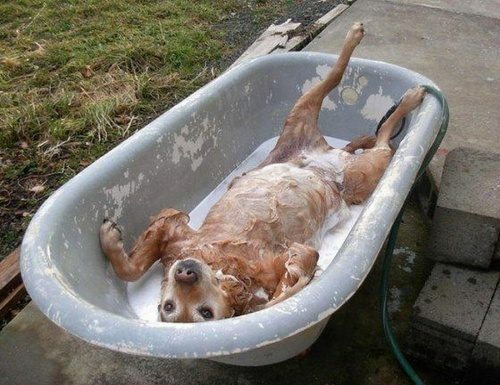 There is nothing quite like a cool, relaxing bath on a hot summer day. yeah, it's a dogs life! You know, I could go for a big toilet full of water just about now. Ahhhhh!